Pick 7 | Bailey Smith Highlights Take a look at Bailey Smith's highlights, as the Bulldogs take him at pick 7 in the NAB AFL Draft. Bailey Smith (above) has been selected by the Bulldogs with pick seven overall in the 2018 NAB AFL Draft. The Western Bulldogs have selected Sandringham Dragons midfielder Bailey Smith with its first selection (pick 7) in the 2018 NAB AFL Draft. The highly-touted 17-year-old has been in the reckoning as a top 10 draft pick all year, and was rated as one of the best midfielders in the pool. Although primarily ball-winning onballer, Smith has an ability to play multiple roles, including across half forward and as a running defender. Smith is strong around the contest, with his elite endurance a strength. 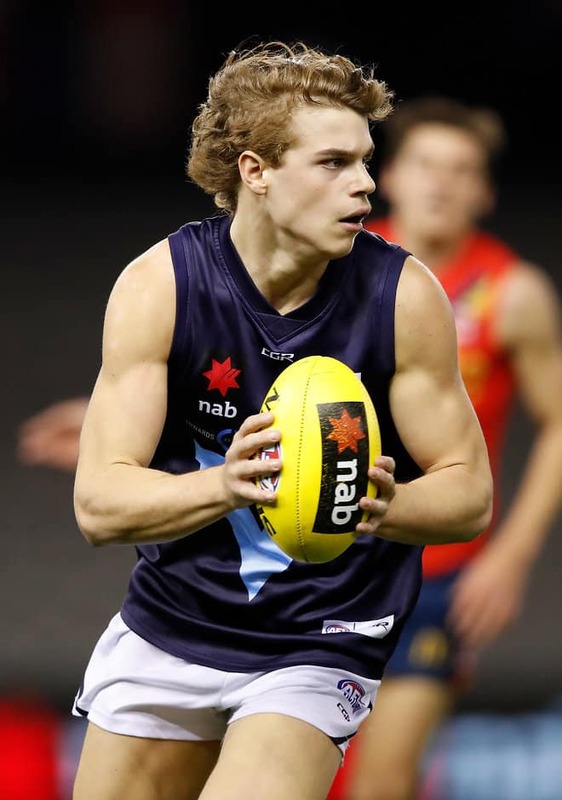 He captained the Dragons in 2018 and represented Vic Metro in its Under 18 carnival, where he was awarded MVP honours. “Not only is Bailey a talented footballer, but his dedication to preparation, training and recovery is outstanding,” said Bulldogs’ National Recruiting Manager, Nick Austin. “He is competitive and always wants to impact the contest. Smith averaged 25 disposals in the 2018 Under 18 Championships and earned All-Australian selection, before suffering a season-ending achilles injury.